Division Winner City by the Lake Tri 2013, Division Winner and 2nd Overall Female Toledo Marathon 2013, USA Triathlon National Championship 2014, Boston Marathon Qualifier 2013, 2014, 2015, Slovenia Women’s National Volleyball Team 2004-2006. Achieving a goal and fulfilling your potential, mentally and physically, requires consistency, determination, hard work, sacrifice and pushing beyond physical boundaries. It is the success of bringing together two of my great passions, sports and serving others, that keeps me challenged and motivated at the same time. I love hearing how others have adopted a healthier lifestyle and that they have started to feel like they are thriving rather than just surviving. And I have learned from my experience as an athlete that it takes a good coach to help someone realize their talent. I hope that my knowledge, enthusiasm and energy will allow me to help you discover you extraordinary. Simona Celik was born and raised in Slovenia with passion for sports. Volleyball consumed her days, and she quickly progressed to more advanced competition. 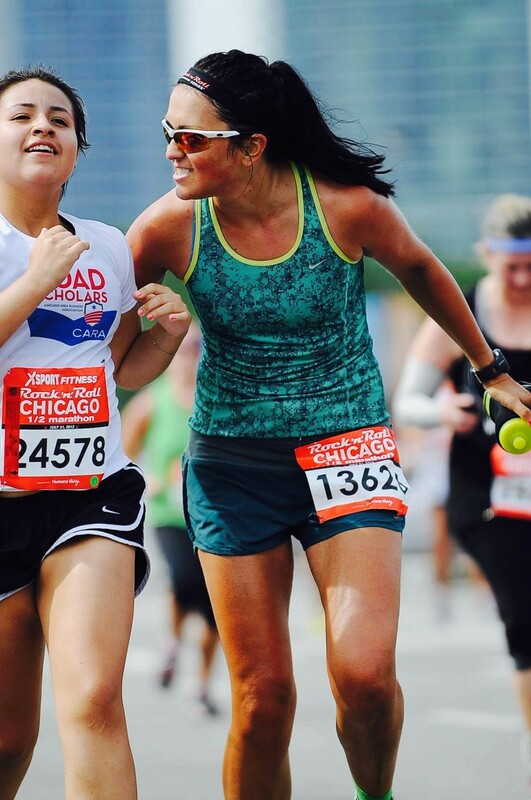 Upon focusing on her academic career and moving to Chicago in 2011, she discovered her love for running and triathlon. While she got into those sports almost by accident, she has put her heart and soul into testing her limits and showing that the bar can be raised. After successfully competing in many marathon and triathlon races, Simona’s love for training and spending time with her family outdoors brought her to beautiful Northern California. Being a part of the Breakaway Training family since 2013 has been one of Simona’s best experiences in her life. She is now, more than ever, ready to help others have the same experience.